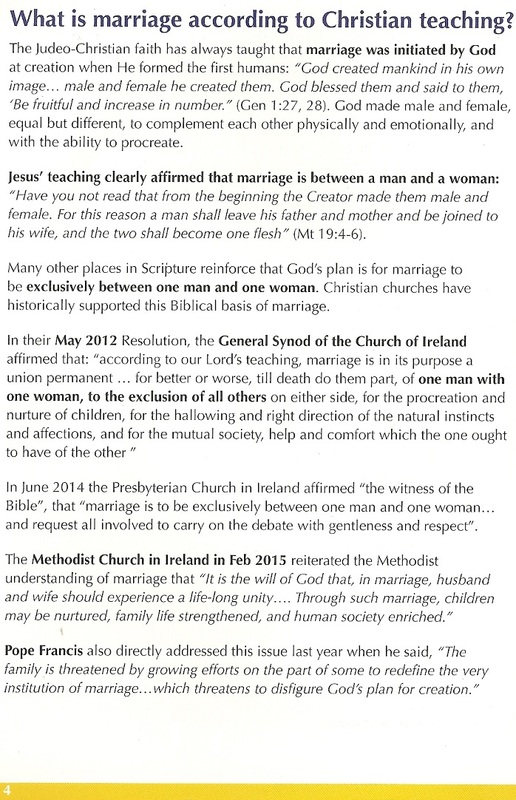 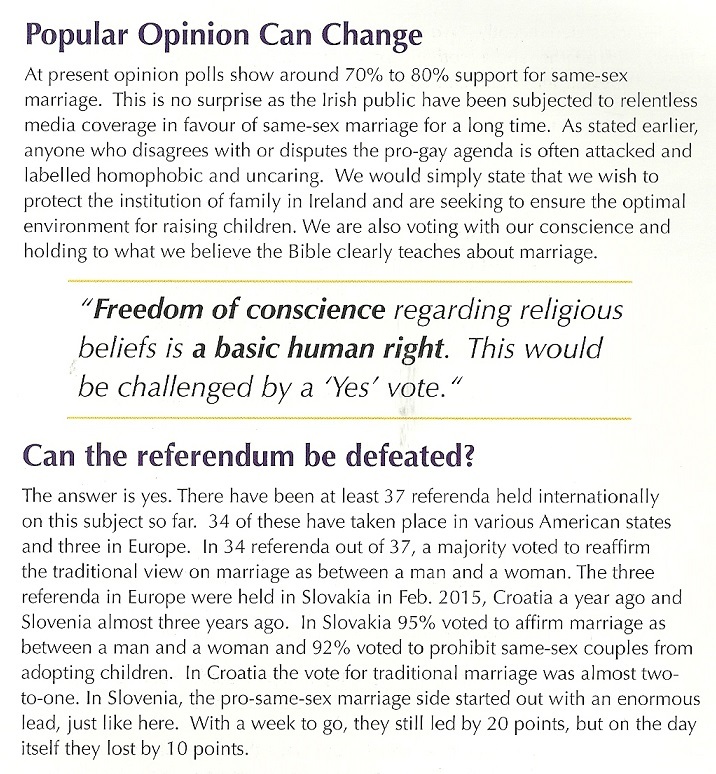 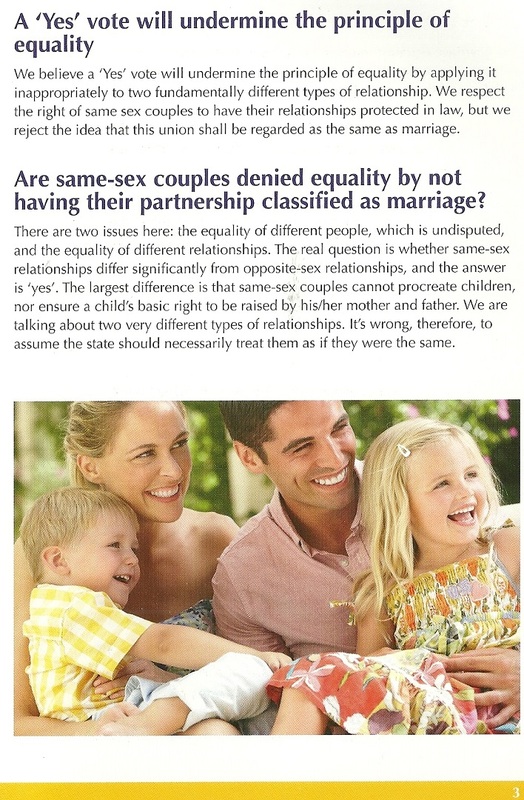 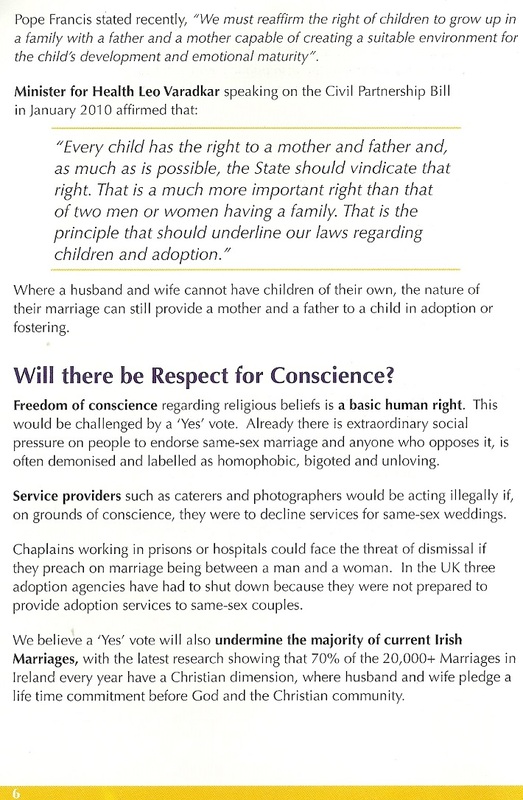 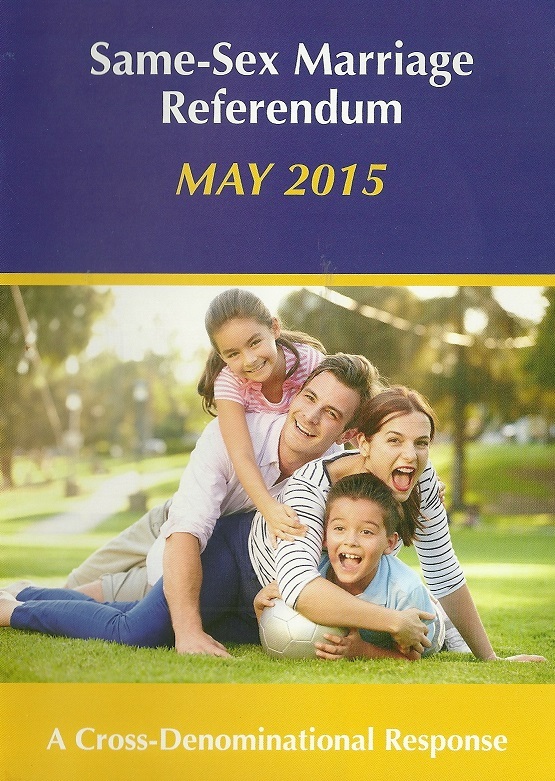 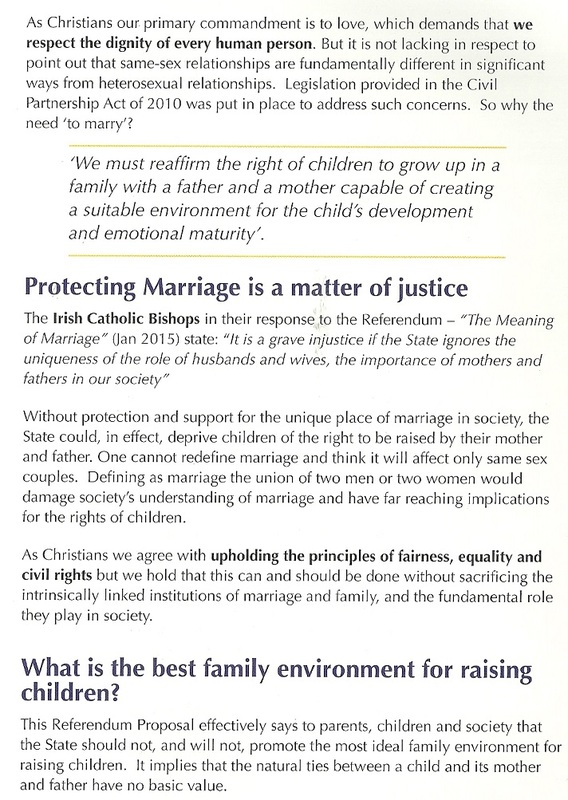 From the Marriage Equality Referendum a leaflet urging a No vote signed by people from a variety of churches including Bishops of various denominations, Pentecostal churches, redeemed Christians, Methodists, Presbyterians and other religious voices. 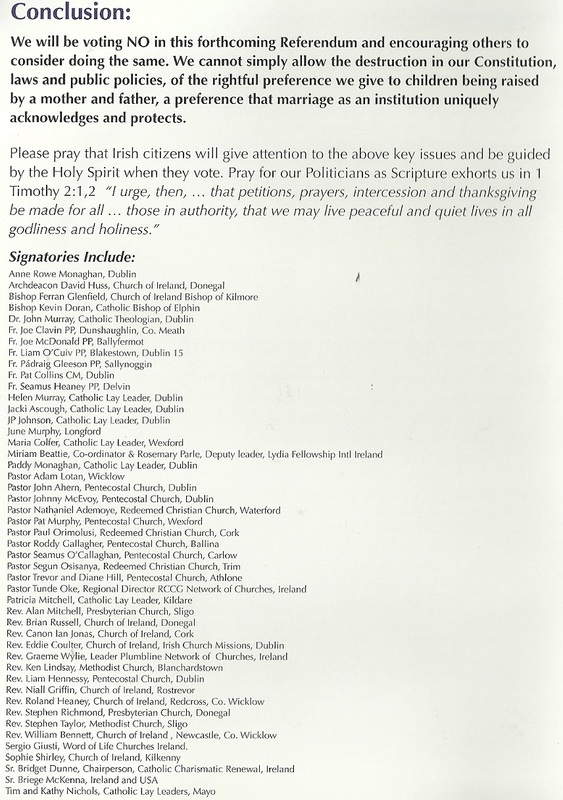 It was picked up in a Church of Ireland Church in Longford, the COI are neatral,so the COI signatories would be acting in a personal capacity. 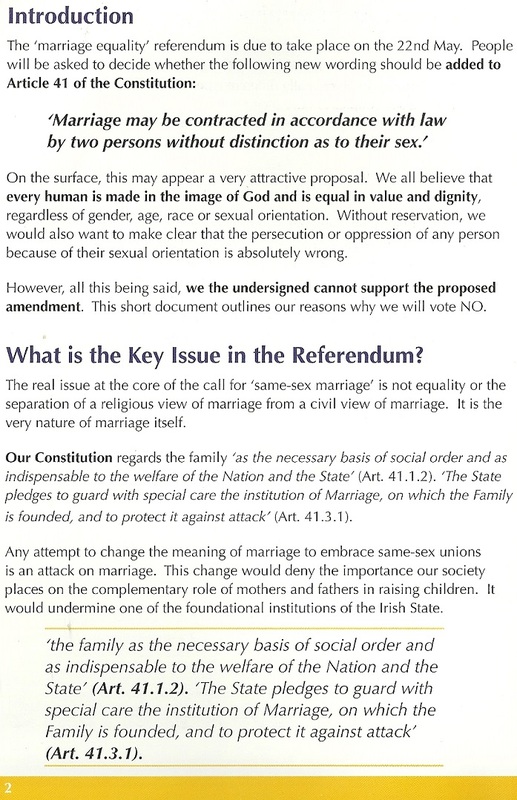 If God does not differentiate between members of his family why should we in our constitution or elsewhere ?